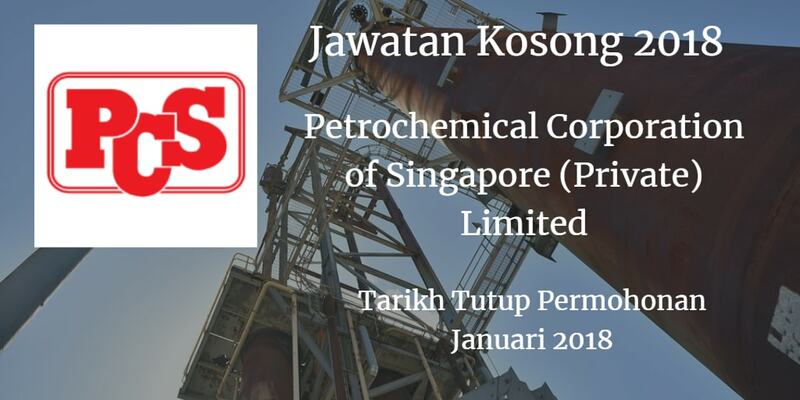 Jawatan Kosong Petrochemical Corporation of Singapore (Private) Limited, 2018. Syarikat Petrochemical Corporation of Singapore (Private) Limited membuka peluang pekerjaan Petrochemical Corporation of Singapore (Private) Limited, terkini 2018 ,ini. Supporting the Shift Leader in achieving safe, smooth and efficient operation of the plant.